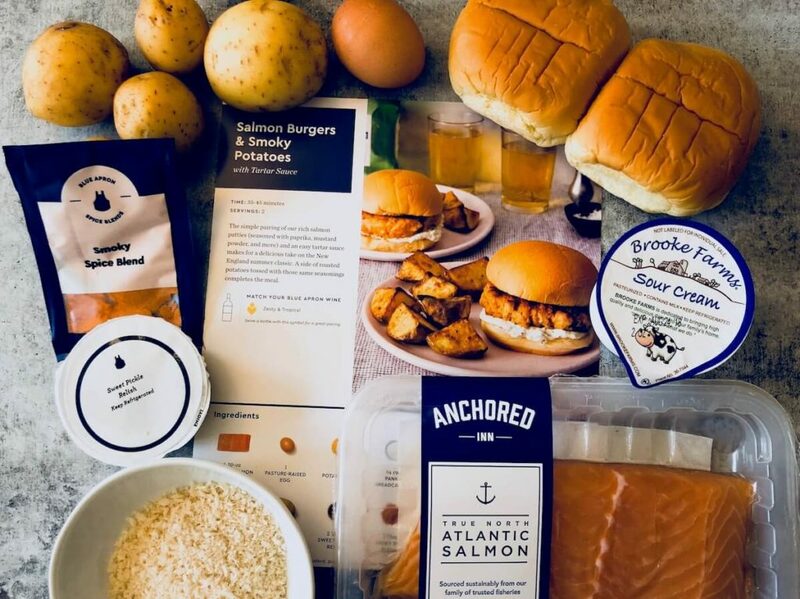 Unless you’ve been living under a rock for the last decade, you’re already well aware of the impact meal kits have had on households throughout the world. If you’ve spent even a few minutes looking at the different options available, you’ve probably also realized that many of the different options are very similar. 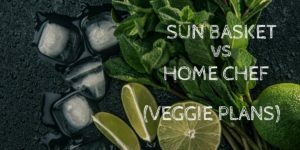 So, how do you separate two meal kits that offer similar benefits, and even similar food? You pit them against each other in a head to head battle! 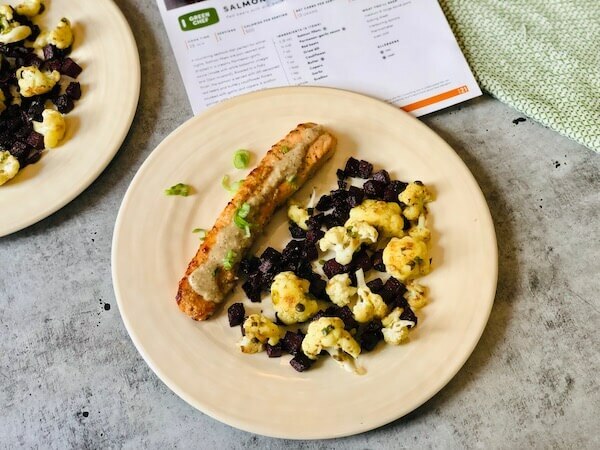 Today, we’ll take a closer look at the salmon dishes offered by both Green Chef and Blue Apron to determine whose salmon dish reigns supreme. 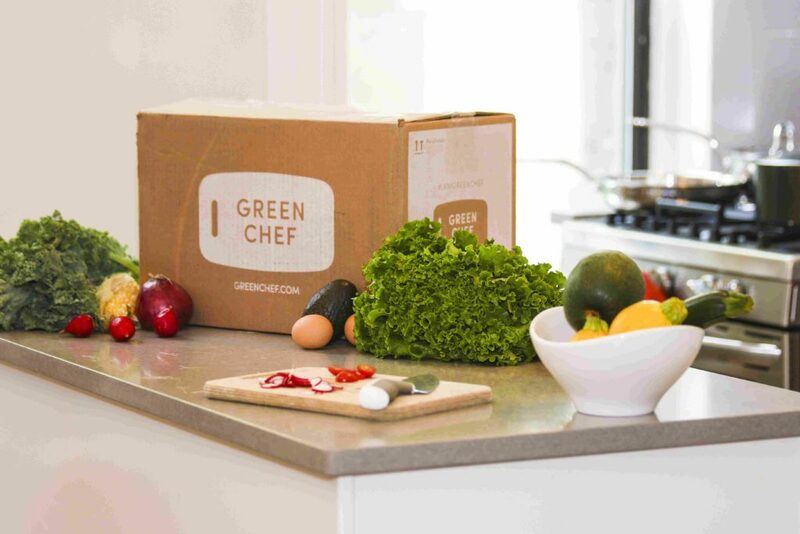 Green Chef does an incredible job of providing delicious meals, but beyond that, they’re also on the cutting edge of sustainability and flexibility. All of the ingredients offered in their kits are USDA-certified organic, and they’re sourced from sustainable farms that truly care about their impact on the world, and their customers. 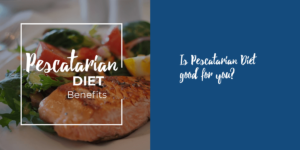 Plus, they cater to some special diets, including gluten-free, paleo, keto, vegetarian, and more. 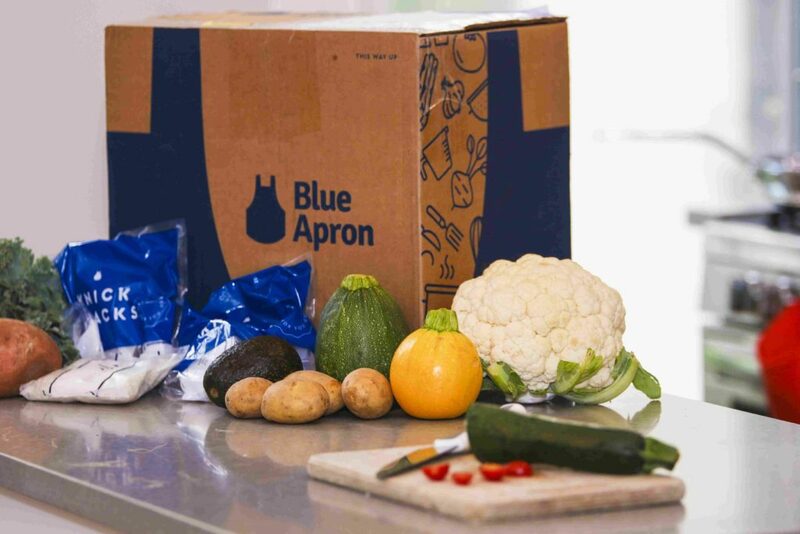 Similarly to Green Chef, Blue Apron has carved out a name for themselves as a company that provides delicious meals from sustainably sourced ingredients designed to keep you and your family well fed, and connected to the earth. 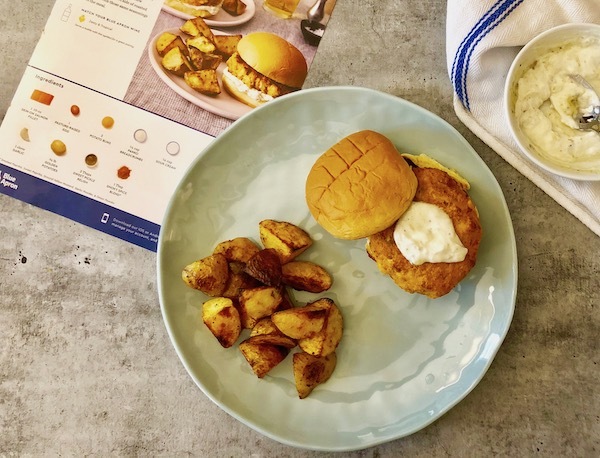 Blue Apron offers antibiotic and hormone free proteins, and they work closely with farmers in the United States to source the best ingredients with regard to their proteins, and vegetables. Every ingredient they provide is non-GMO and is designed to feed you and your family, without the massive carbon footprint associated with commercial farming. Since both companies are so similar, the best way to determine which is best for you and your family is to give them a try! 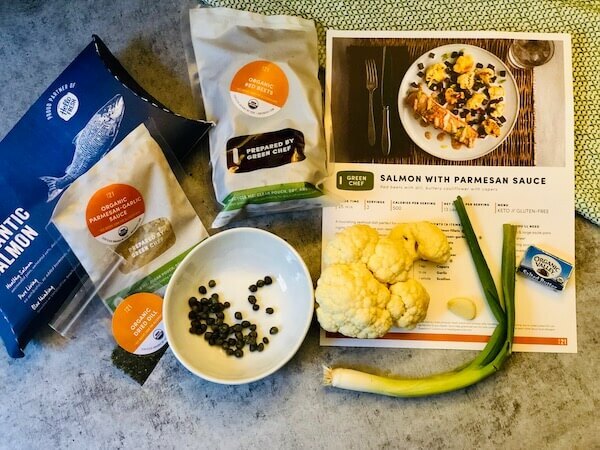 We gave both Green Chef and Blue Apron a shot to determine which meal kit offers the best meals. Today, we’ll cover which company makes the better salmon dish. When it comes to Green Chef’s salmon, there were a few aspects which immediately stood out. For one, this meal came together lightening fast. From the box to the table, it took about 25 minutes to prepare. Each ingredient was labeled, pre-measured, and ready to go. We found each ingredient to be fresh, fragrant, and flavorful. The result was a truly delicious dish that not only exceeded our expectations but pushed me beyond where I thought I could go as a chef. Making dinner is an accomplishment in itself, but making a meal you’re proud of earns serious points! Everyone loves a good burger, but I have a hard enough time making a tasty one from ground meat, let alone making one when salmon is the protein. Thankfully, Blue Apron made it incredibly easy. You actually cook the salmon filet before flaking it and forming it into a burger, which made me feel much more comfortable than I would have been had I been working with ground salmon. The result was a dish that was both unique and flavorful. Plus, it was so approachable, I’d feel comfortable feeding it to the kids. Both companies offer delicious salmon dishes that are served in a unique and interesting way you may not expect. 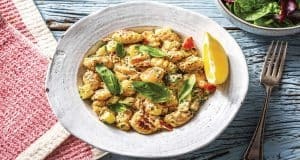 They also each go out of their way to offer delicious meals from sustainably sourced ingredients you can feel good about serving to your family. 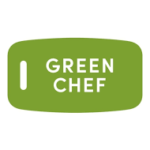 But, there can only be one winner, and for us, that’s Green Chef by the smallest of margins. Both kits provided delicious dishes created from ingredients we felt good about preparing and eating. But, Green Chef’s Salmon with parmesan sauce had a slight edge in both flavor and ease of preparation.